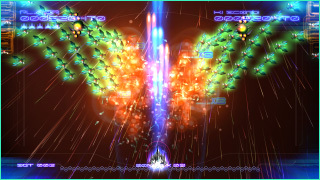 Galaga Legions is a shooting game that uses all available space on the screen. 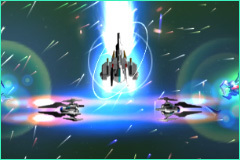 Move anywhere to shoot down the Galaga ships. 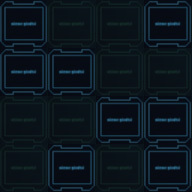 Strategically position the Satellites anywhere you want to shoot (front, back, left and right) and avoid being surrounded. 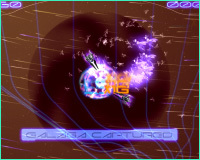 Pay attention to the predicted point of emergence and predicted trajectory of the Galaga enemies and start creating your own strategies! An eye for an eye! Fight fire with fire! 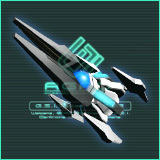 Capture the enemy ships to boost your attack power. Shoot the Capture Galaga to rip a capture hole in the world, sucking all enemies on screen in, and spitting them back out to join your side! 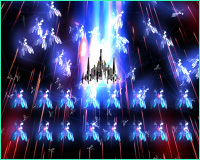 Wipe out screens of enemies with attacks never before experienced until Galaga Legions!! Galaga convoy ships will create a secondary explosion when shot that will wipe out the rest of the Legion. Use this to your advantage. How and when you shoot these Galaga ships will significantly affect the amount of points you receive, and how high your score will get. When playing Score Attack, try a variety of strategies to find the highest scoring method of attack and jockey for the position of top player of Galaga Legions!